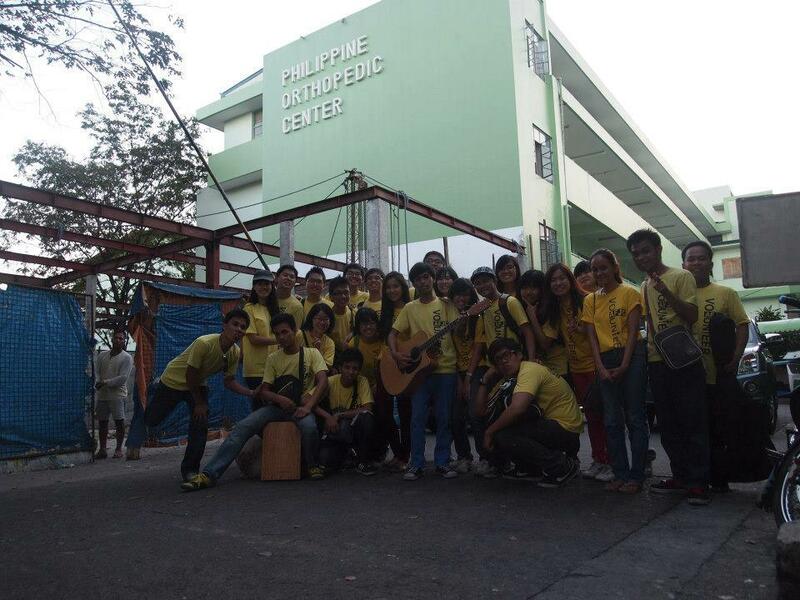 From the 22-30 November 2012, 16 members of Hope Brisbane UQ6 went to Manila, Philippines for a mission trip. 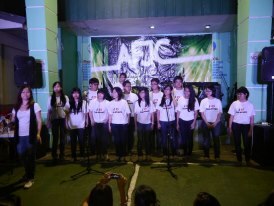 The main aim was to support Alvin and Jace, and their ministry Ambassadors for Jesus Christ (AFJC). Throughout their time there, the team was exposed to many things, which we were not used to seeing or experiencing in our daily lives. 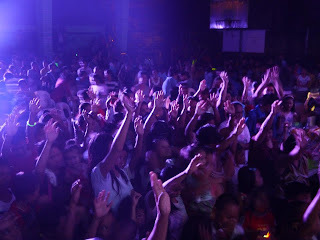 This opened our eyes to how we can really be God’s hands and feet to spread His love to the world. 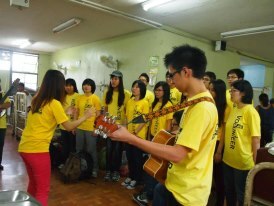 This report will provide a brief overview of what the team experienced during the mission trip. 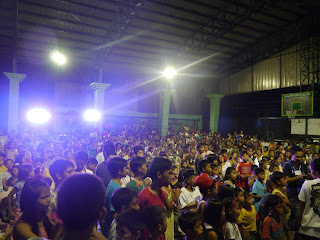 The first major activity we were involved in was to help with an evangelical crusade, which was in the form of a music festival, held on the 24 November in Valenzuela city, Manila. The day before the crusade, the team helped the volunteers of AFJC to prepare for the crusade by packing new believer packs, visitor snack packs, and distributing tickets for the event at nearby squatter settlements. On the day itself, many logistical issues arose. For example, we were only able to have the basketball court available at 4pm, when we were supposed to have it at 1pm. Many technical issues like faulty screens, problems with the projectors and microphone also came up throughout the event, but thank God that He is faithful and all these issues were quickly resolved. 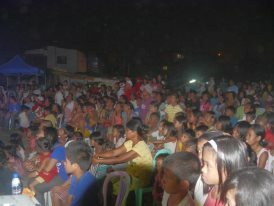 Alvin was able to preach the Gospel and share Christ with everyone who turned up. 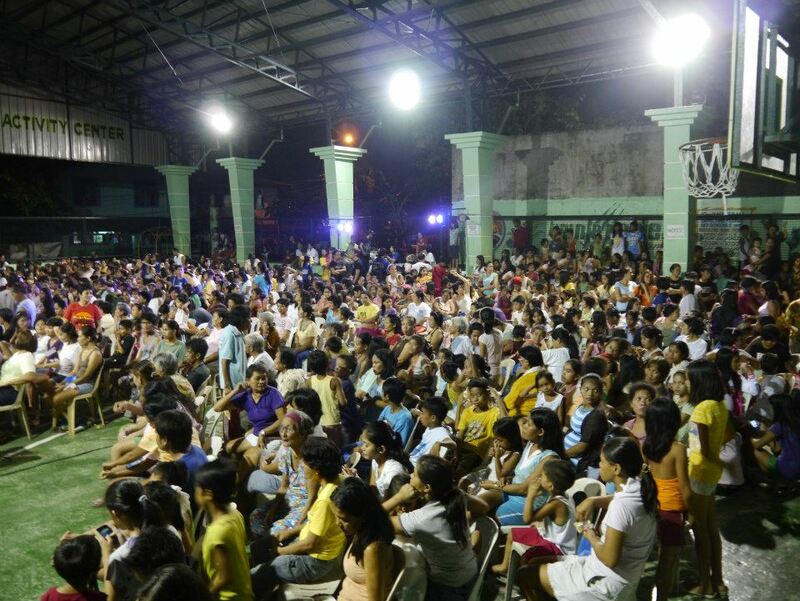 At the end of the crusade, 824 people came, and 429 people received Christ into their lives that night, praise God! 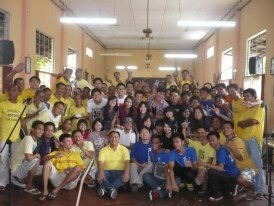 The team went to visit Hope Manila, its members were very welcoming and warm to us. We could really see the value of being in such a great family of Hope, where people all around the world are able to experience God through this movement. 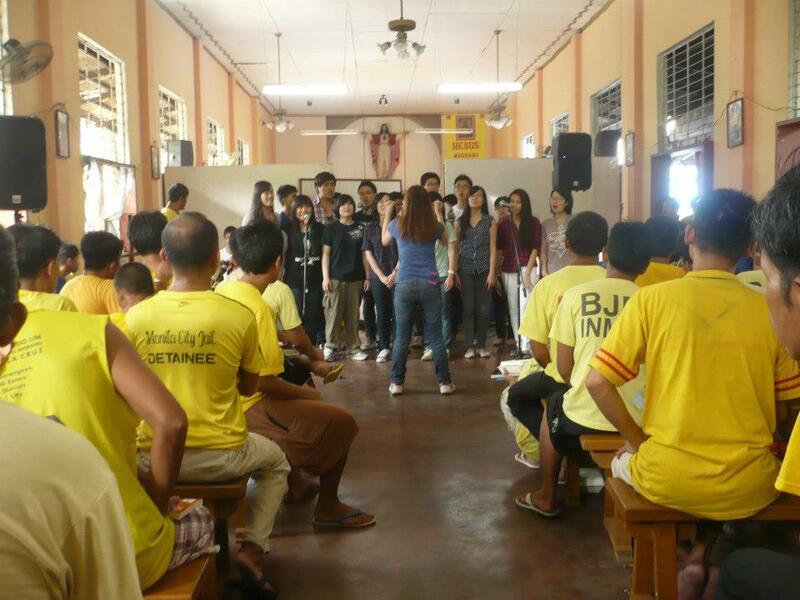 The team rose up early in the morning to visit Manila City Jail. When we arrived there, it was like a small town, with the inmates being able to walk around freely. We went into a main hall where we would minister to the inmates. 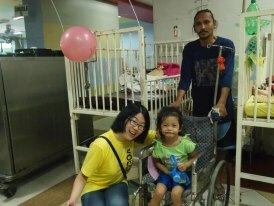 The one thing that struck us was that every single one of them was so joyful and friendly! 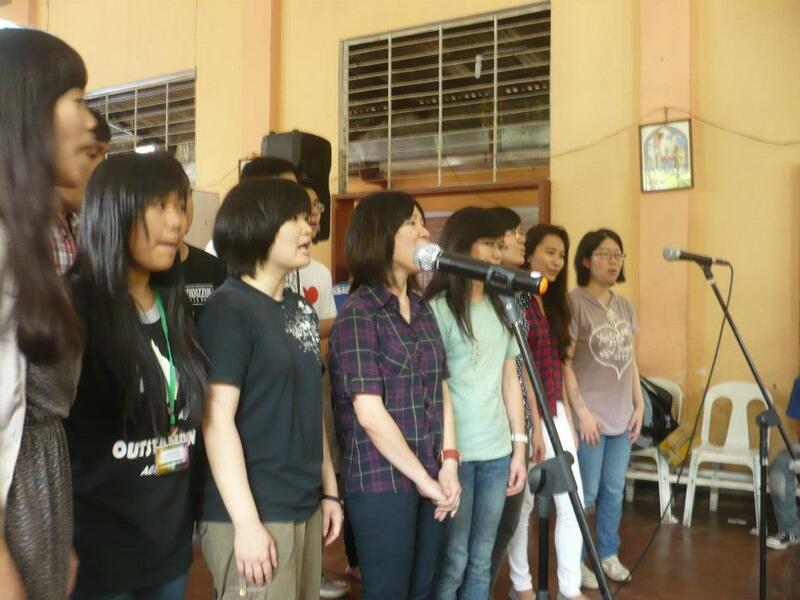 We held a praise and worship session, which was led by various groups of inmates. 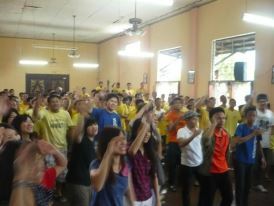 It was amazing; their passion for God was just so strong and evident! Following that, the mission team performed a skit about God’s love. 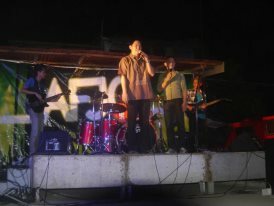 A message was shared about God’s redeeming love, and praise God, the people were just so open and responsive! 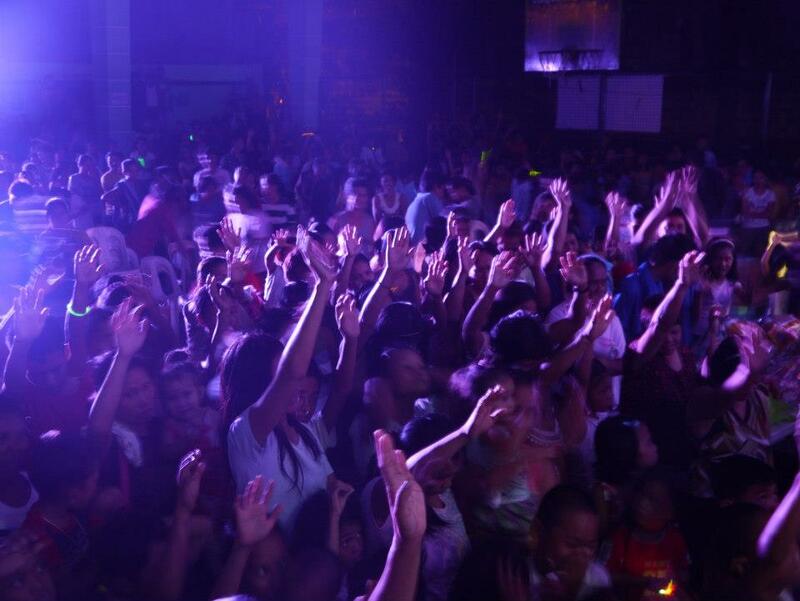 God was moving, and 25 people responded to the call for salvation! Praise God! Following that, the inmates were given some gifts like soap and coffee to bless them. 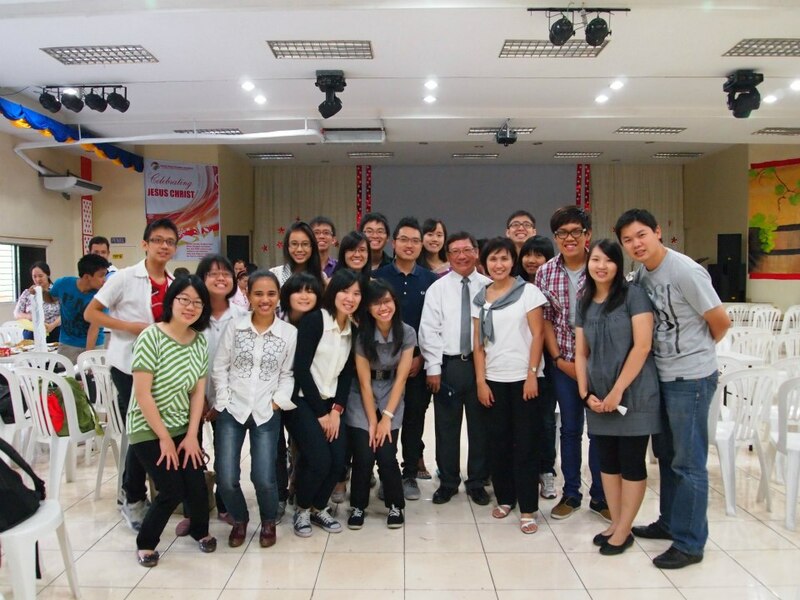 The team underwent missionary training during the day by AFJC and Pastor Nathaniel, the director of Asian Centre for Missions (ACM). In the evening, we put our training into action by visiting the University of Philippines campus to outreach to the students. The students were very open for conversation; many were Catholics and knew about God, but they did not have a personal relationship with God. Praise God that we were still able to share our hearts, and God brought three salvations through this outreach! 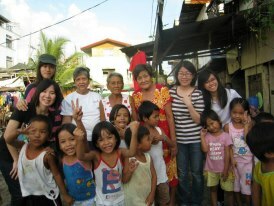 We split our team into two, with one group involved in the feeding program, and the other helping out at the pre-school. The teams then swapped in the afternoon. For the feeding program, we visited a slum that was located near a rubbish dump. 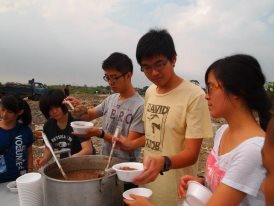 One of the AFJC volunteers’ mother would prepare a large pot of chocolate congee, which was then distributed to the children at the slums. 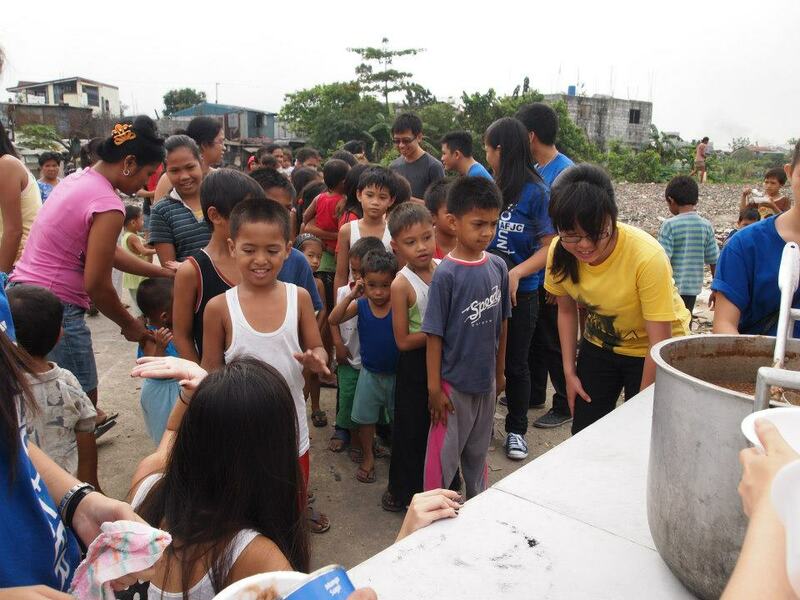 The children were just overjoyed when they saw us bringing the food. 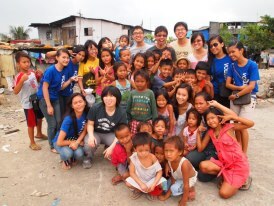 It was such a heart-warming and heart-wrenching scene, seeing how the children were playing amongst rubbish piles. This brought so much perspective into our lives as to how fortunate we are, and how there are so many people out there who need God. For the pre-school group, the team taught the children songs, played games and did arts and crafts with them to teach them about God’s love for them. 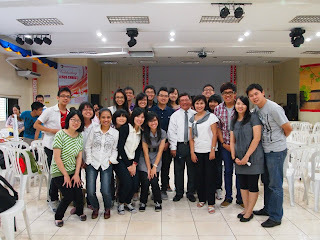 It was very tiring, but overall everyone had fun! The team was divided into smaller groups of 4-5, to visit different wards in the Philippine Orthopaedic Centre. Pastor John accompanied one of the teams to share the Gospel. 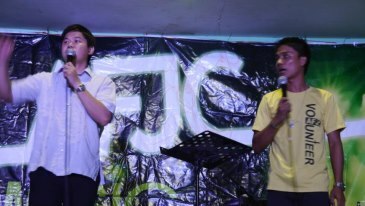 Other teams had members sharing their own personal testimonies of how God had healed them and blessed them, which was such an encouragement to many of the patients. 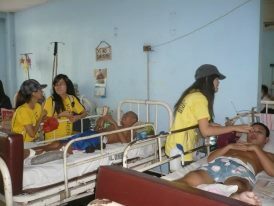 The teams performed songs, and small blessing packs of food were given to all the patients. Finally, the team came back together to perform a choir performance for the terminally ill patients and to pray for them. 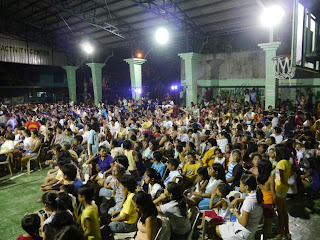 The team saw God’s hands move and many people were touched, with about 26 people being brought back to Christ that day. Overall, the trip was amazing, seeing how God can move through every single one of the team members to be ambassadors for Jesus Christ. Many great friendships have been formed, and relationships were strengthened through this mission trip, but most importantly, we all learnt that if we are willing and obedient to God’s calling, He can and will use us to do so much great things in His name. Although our experiences cannot be captured by just words, I believe that God will continue to move and do so much through this ministry, and even in every single one of our lives.